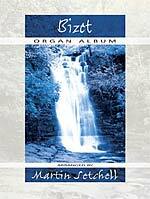 Martin's many compositions and arrangements for solo organ, and choirs, are published by Oxford University Press, Kevin Mayhew, Fagus Music, and Dr J.R. Butz. The latest arrangement by Martin Setchell, this time of the hauntingly beautiful "A Chloris", by Reynaldo Hahn. 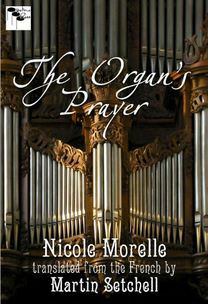 Four pages of downloadable .pdf file, rated a moderate to easy 2 out of 5 score, this is a wonderful addition to any organist's repertoire. Check it out here. 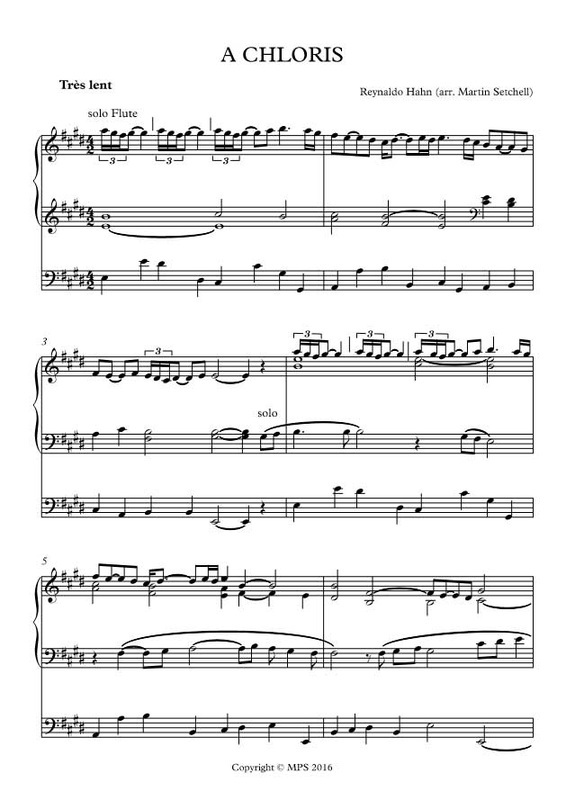 Martin's arrangement of the New Zealand national anthem is increasingly in demand and is now available through his website. At present, arrangements are available for symphony orchestra, brass band, brass quartet and two trumpets with organ (keyboard) All arrangements include an SATB harmonisation of the tune, with words in Maori and English. Contact Martin direct for further details. 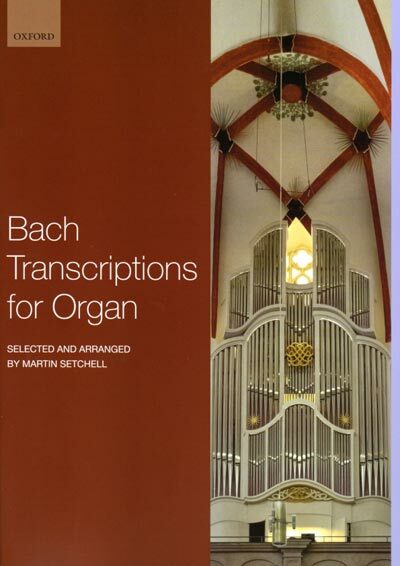 Bach Transcriptions for Organ by Martin Setchell - a new publication from Oxford University Press. 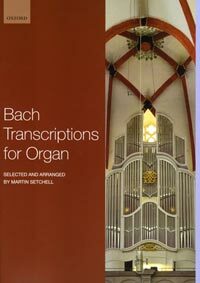 This collection presents a selection of varied repertoire by J. S. Bach in new arrangements for the organ. 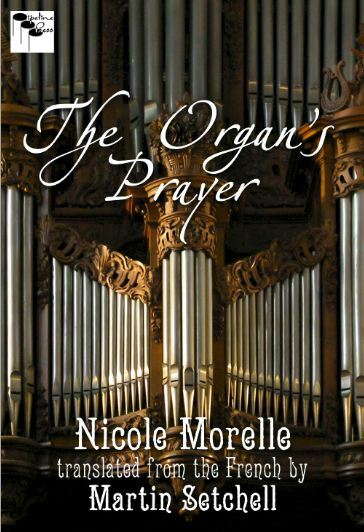 Bringing a wealth of popular pieces under the fingers and feet of intermediate players, the volume caters for all parts of a church service, as well as providing recital repertoire and popular encores. 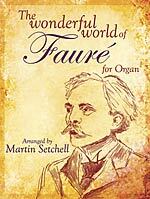 Martin's two popular suites, The Three-Piece Suite and Pokarekare Ana Suite, are published by Fagus-Music. 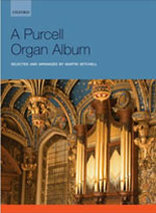 Originally published by Kevin Mayhew in albums of single pieces (Trumpet Tune, Scherzo and Toccata on Joy to the World), the Three Piece Suite is now reissued as a suite in slightly revised versions which incorporate various revisions and adjustments made in line with the composer’s current interpretation. The Pokarekare Ana Suite consists of five sparkling pieces on a traditional New Zealand melody so popular it has become known as the country’s ‘unofficial National Anthem’. OUP have published a volume of Martin's arrangements of works by Henry Purcell. This volume brings together all those must-have pieces - the trumpet tunes, Rondeau from Abdelazer, and so on - and combines these with a wonderful selection of lesser-known pieces from across Purcell's work. 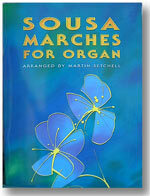 Kevin Mayhew Ltd has published volumes of works by Bizet, Fauré and Sousa arranged by Martin for the organ. Martin has been a house composer and arranger of pieces for anthologies, both choral and organ, for Kevin Mayhew Ltd for many years. The full catalogue of these volumes can be found on the Mayhew website. 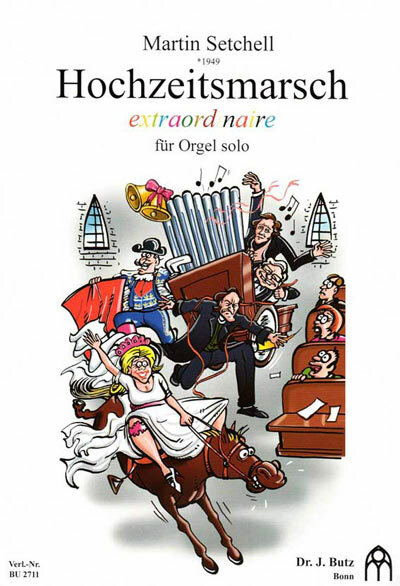 This volume (no 6 in the series Recent Researches in the Music of the Baroque Era) is a scholarly edition of the the last collection of sacred music by Melchior Franck (c.1579-1639). It contains 66 motets for between 1 and 8 voices with basso continuo, the majority of which are duets. The texts are from the book of Isaiah; Franck selected what he considered the most comforting verses from each of the 66 chapters. Paradisus Musicus is published by Recent Researches, A-R Editions, Inc., in Wisconsin. 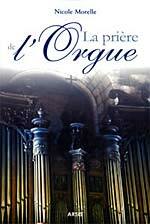 Martin translated Mme Nicolle Morelle's latest book "La Prière de l'Orgue" (CN029) from French into English. The French text original version volume comes with an audio CD.